Do you want to buy a land in Nigeria? Do you want to invest in landed property (real estate)? If yes then this article is for you. There are things to consider before buying a land in Nigeria and if you do not take these factors into consideration, you may end up buying the wrong land. Buying a land is a long term investment, which is why you must be careful and put necessary factors into consideration before doing so. Also, there are situations where people buy land for certain purposes and later discover that the land cannot serve the purpose for which they bought it. 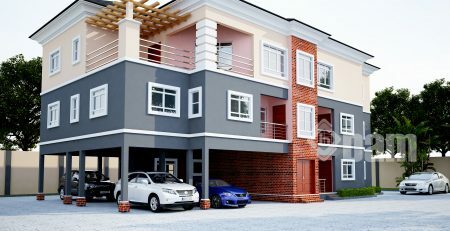 In this article I intend to show you factors to put into consideration in order not to make mistakes while buying a land in Nigeria. If you want to buy a land in Nigeria, you have to consider the size of the land you are buying to make sure it is accurate to what a land owner tells you. For instance, if a land owner says the land is one plot, it is your responsibility to make sure the size is accurate. One of the ways to check the accuracy of the size of a land before buying it is to involve a surveyor or an expert in the building industry. If the land has a survey plan, the surveyor will check or measure the land to make sure what is on the survey plan is accurate. And in cases where the land has no survey plan, the surveyor will also check or measure the land to make sure what the land owner says is accurate, the surveyor will also help produce a survey plan for you after you have purchased such land. You need to also consider the soil type of the land you are buying to make sure it will serve the purpose for which you are buying it. A land with very weak soil might not be suitable for building construction and if you use such land for building construction, you might end up spending more money during construction. Make sure the soil type of the land you are buying can serve the purpose for which you are purchasing it. You should also check the topography of a land before buying it. Sloppy lands may attract more cost while constructing a building structure on it. Flat table lands are always preferable for building construction. If the topography of a land is not good, it can cause flooding. There are certain movements of the slope of a land that can encourage flooding and with time might result to erosion. It is important to check the topography of land before buying it to avoid future occurrences that may cost you so much money. Always involve your surveyor or an expert in the building industry while buying a land to help you check for good topography before buying it. The shape of a land is also important to consider before buying it. If you intend to use a land for housing purpose, you will need a land that has relatively good shape; this is because the shape of land can very much affect the design of a house. There are certain shapes of land that can make you lose some spaces which should have been included in the house to be built. This is because connecting the sides of the irregularly shaped land might be quite a task for an architect and that might lead to lose of some spaces which would have been part of the house. However, it is the responsibility of an architect to produce functional and beautiful design regardless of the shape of land, but it is always advisable to buy a land with relatively regular shape. You also need to consider the location of a land before buying it; the location of a land can add value to the land. A land in a developed area will cost more than the one in a developing area. With that, you need to pay attention to the rate of development of the area where the land you intend to buy is located. There are some areas where land is relatively cheap but will attract quick development in the near future, and if development comes to that area, the value of such land will increase. It is advisable to pay close attention to the way development is approaching the location of a land before buying it. Consider if the development is slow or fast approaching to enhance you in decision making. Some of the things that can attract quick development to an area are markets, schools especially higher institutions, roads etc. Good road network will guarantee easy access to the location of the land you intend to buy. It is necessary to consider how you can access your land from major road before buying it. There are situations in Nigeria where people buy land without paying attention to the access road to their land and later discover that the only way to access their land is through another person’s property, and you can imagine how challenging that can be. Always make sure you resolve the issue of access road with a land owner before buying a land. If there is no evident access road to your land, make sure the land owner provides one in order not to face problems in the future. It is also worth noting that good road network in an area where the land you are to buy is located can attract quick development to the area thereby increasing the value of your property. You have to consider the price of the land you intend to buy to know if the land is worth it. The location, topography, soil type etc. of the land can influence the price of the land. Take these factors into consideration before accepting the price of the land. If possible involve an estate expert or any other expert in the building industry who has experience about landed properties. Furthermore, there are situations where expectation of future development can influence the price of a land. My advice is for you to take your time and evaluate possible benefits of buying such land and do not forget to involve an experienced expert in order not to make mistakes. You must make sure a land is genuinely registered before buying it except if you intend to register the land yourself, and if that is the case, let there be an agreement between you and the land owner because if you are the one to register the land, it should affect the way you negotiate the price of the land. Buying a land with C of O (care of ownership) is always better and safer. If you have C of O, you can always claim ownership of the land if any issue arises especially with the government. Make sure you involve a legal person to make sure that the land you are buying is duly registered to avoid problems in the future. However, you can still buy a land and register it yourself but make sure you are buying it from a genuine owner. If you intend to use your land for housing purpose, you don’t want to live in a polluted environment. You need to consider the environment where the land is located and know how it affects the inhabitants of that area in order to be sure of your safety while living there. Make sure there are no toxic substances in the area, like refuge disposals, smoke from factories, poisonous smell from farms etc. Also make sure that the land you want to buy does not experience seasonal flooding or the likes and make sure you will be safe while living in your house. You should ask yourself’ how secure is this area I want to buy land’? You must be sure of the security of the area where the land you want to buy is located. This is necessary in the sense that if the area is not very much secured, you can make plans for the security of your property early enough. You don’t want to buy a land where hoodlums will always disturb you or where thieves will always visit you. There are factors to be considered before buying a land in Nigeria as explained in this article. It is necessary to consider these factors in order not to make mistakes while buying a land. Make sure the size of the land on paper is accurate in existence before buying a land. Also consider the soil type, topography and shape of land before buying it because they may have effect on the purpose for which you are buying the land. Furthermore, consider the location of the land and how accessible it is and don’t forget to make sure the land is duly registered before buying it. Though this article might not contain every factor to be considered before buying a land in Nigeria, I believe if you apply the knowledge in this article, you will not make mistakes while buying a land in Nigeria.